I am embarrassed to say it but I have lived in New York City for 11 years now, and I have never been to Coney Island. I’ve heard plenty about this neighborhood in Brooklyn at the end of the D,N,Q, & F Subway lines. Of course, it is known for the hot dog eating contest (gross!) that happens every Independence Day weekend, the crowded beach, boardwalk, NY aquarium, and amusement park. Oh and there is also the Mermaid Parade, which I have heard is crazy but a lot of fun. 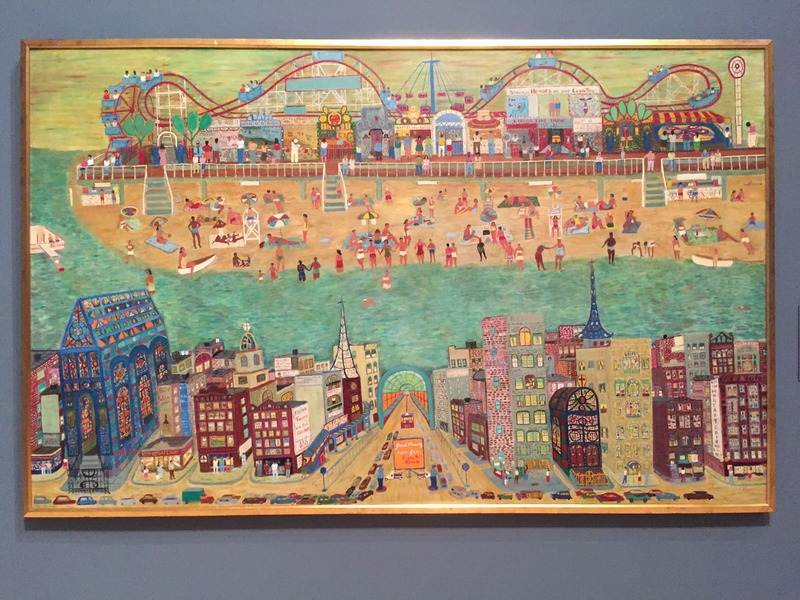 Now, until March 13th, 2016, you can get a dose of Coney Island summer fun at the Brooklyn Museum. I started with the Forever Coney section, since it is located in the elevator lobby. There are 42 black and white photographs showing Coney Island from just after the Civil War until the turn of the twentieth century. It was interesting to see what the area used to look like and also see how much fashion has changed. The Stephen Powers portion is only one room as well. 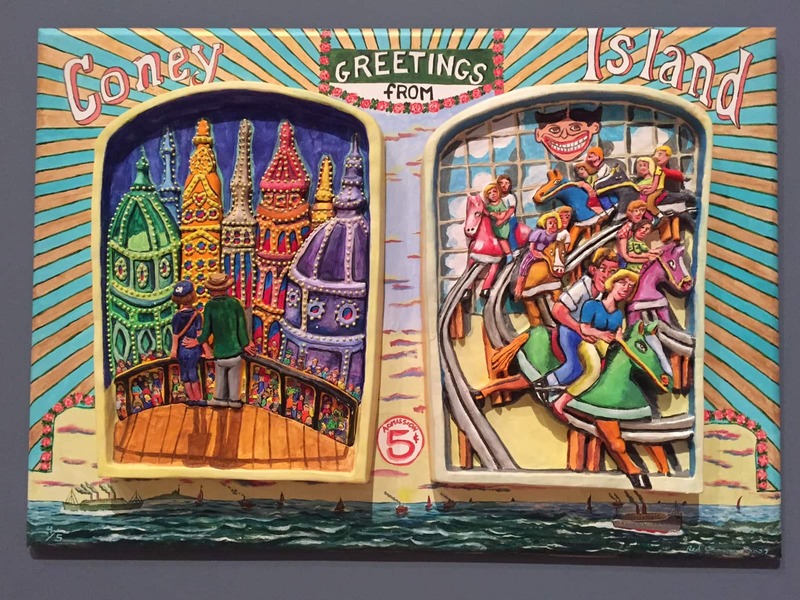 It is an art exhibit with signs and artwork painted in the style that you would see in Coney Island. Visually it is very appealing and I really loved the bright colors. A little bit of warmth in the middle of the winter! Two carousel horses. I love the background! 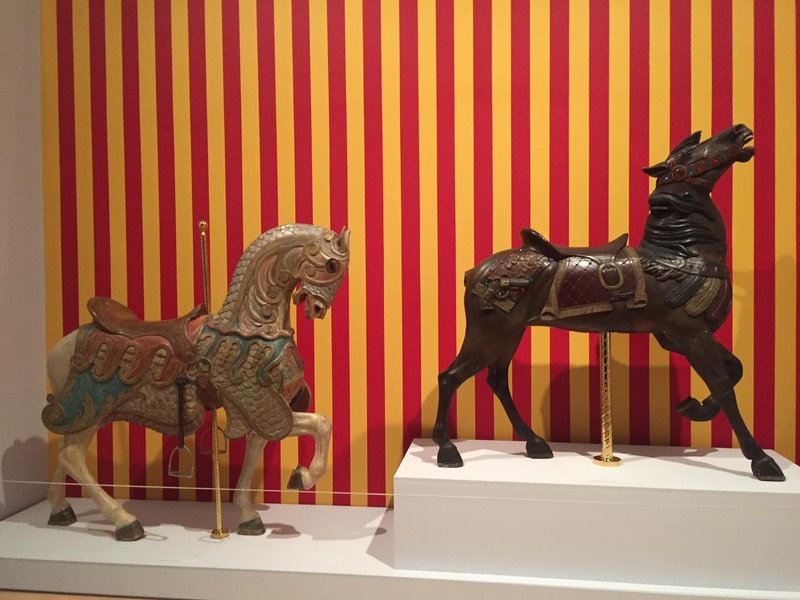 The main section of the exhibit had some art pieces from Coney Island like horses from the carousel and other signs. 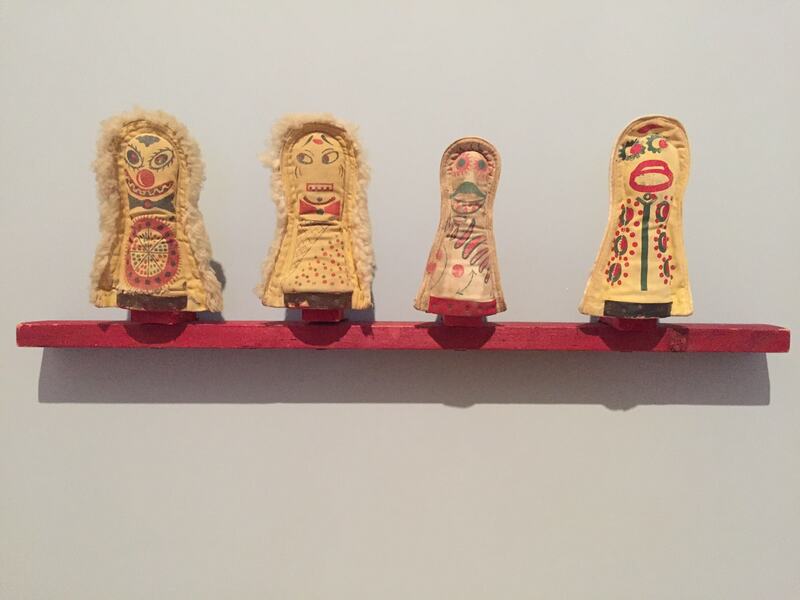 It was interesting to think about how pieces from ordinary life can end up being pieces of art in a museum! In addition, there were also some very impressive paintings of the area. Since I am a beach person, I really enjoyed the ones that showed the beach, even if it did also seem to be full of people. So after I finished visiting the exhibit, I decided to see more of the museum (more on that in a later post) and I ran into a friend totally randomly. I love how often that happens in NYC! She was with a gentleman, but she called out to me to say hi. I was surprised to see her. We chatted for a few minutes and I told her that she really needed to visit the Coney Island exhibit on the 5th floor. She didn’t introduce her friend to me, so of course, that was a dead giveaway that it was a date. Probably not a good one. I ran into her again as I was leaving the museum and she said that seeing the Coney Island exhibit was the highlight of her visit. So hurry up summer! I am looking forward to finally visiting Coney Island. Have you ever been? I would love to hear your tips! 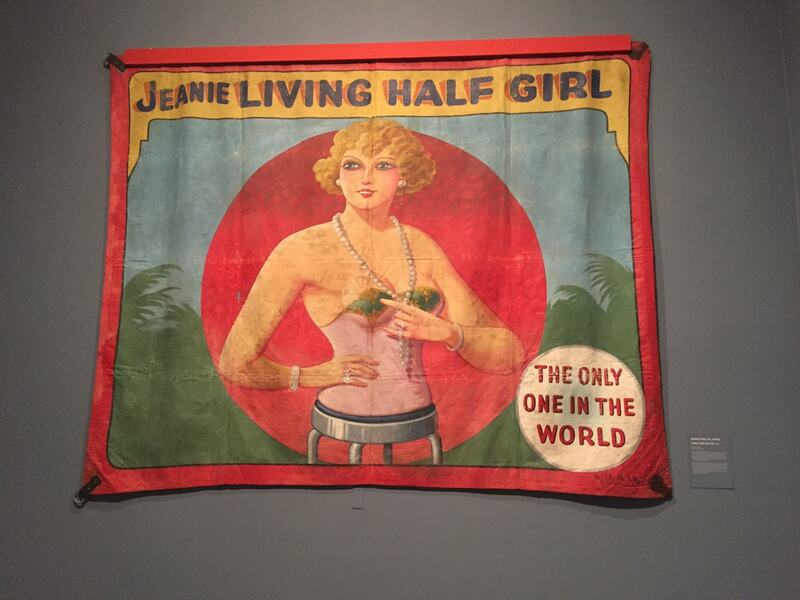 Hurry to catch this exhibit before it closes on March 13, 2016! 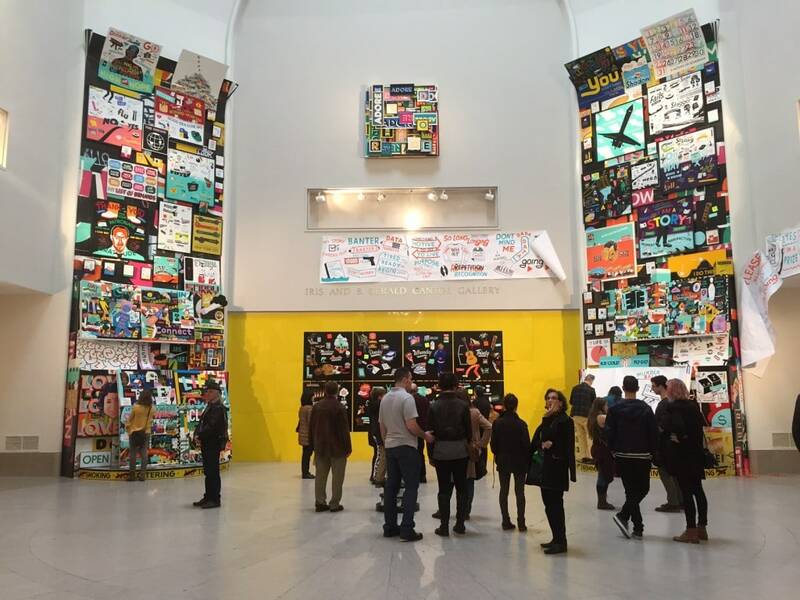 The suggested admission to the Brooklyn Museum is $16, but you can pay what you like. If you visit on the first Saturday of the month between 5 and 11 pm, the admission is free thanks to Target. There is also music and different specials each month. The Brooklyn Museum of Art is included on the NY Pass. If you’re looking for a brunch spot close to the museum, try Bar Corvo. NextThis Ain’t My First Houston Livestock Show and Rodeo! This looks sooooo cool! New York, and her museums is definitely on Our List. Now I’ll add this one, too! Thanks Lynn, I’m glad you enjoyed the post! There are so many great museums here. I will be highlighting other ones in future blog posts, so stay tuned! My dad used to take me when I was younger because Coney Island was his favorite escape from Park Slope as a kid. I guess I’ve always grown up seeing it that way too, until the fire with that band playing years ago that some people died in broke my rose-colored glasses. But it is definitely a special place, and remembering the history is great for that…the exhibit looks great, wish I could go! Peggy – I know Coney Island is a special place for so many people. I don’t really remember the fire, but that sounds terrible. I am going to visit Coney Island this summer and will definitely report back. Sounds like fun! Love visiting NY and, especially, Brooklyn. Becky – yes! Thank so much for stopping by! There will be plenty more ideas for NYC coming up on the blog. We haven’t been to Coney Island yet. But I’ve also had those world famous places close by that I never seem get to. Yes easy to forget about what is in your own backyard. So what famous places close to you are on your list? Nope. I grew up in New Jersey and Coney Island was not on our radar. (Then again, neither was the Jersey Shore. I was a deprived kid, lol.) Once I moved to Manhattan, I still never visited. What is it about living near an attraction? It seems that we often take them for granted and never bother to go. But to be fair, I have been to the Brooklyn Museum, so I’m not totally clueless, lol. Thanks Linda. In NYC there is just so much so its hard to see it all. I’m working on it though!